During your turn, when your life is at 3 or less, this card gains +5000 power. 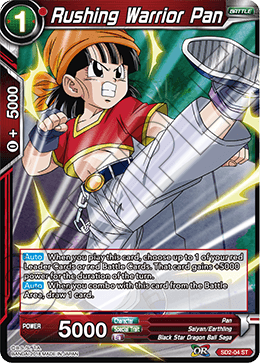 When this card attacks, draw 1 card, and if this card's power is 25000 or more, it gains (This card inflicts 2 damage instead of 1 when attacking) for the duration of the turn. When one of your cards attack, this card gains +5000 power for the duration of the turn. 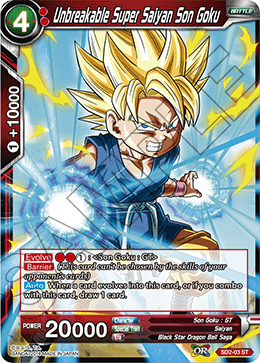 Then, if this card's power is 40000 or more, this card gains (This card inflicts 3 damage instead of 1 when attacking) for the duration of the turn. 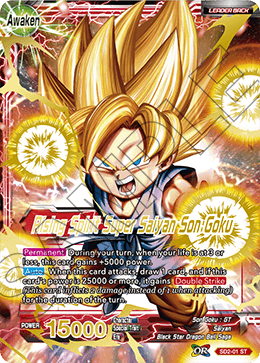 When a card evolves into this card, or if you combo with this card, draw 1 card. When you play this card, choose up to 1 of your red Leader Cards or red Battle Cards. 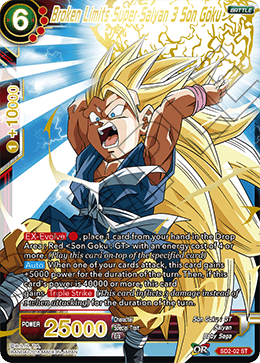 That card gains +5000 power for the duration of the turn. 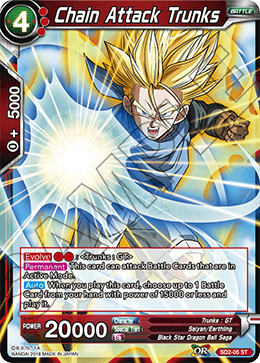 When you combo with this card from the Battle Area, draw 1 card. 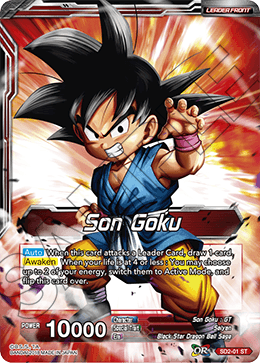 This card can attack Battle Cards that are in Active Mode. When you play this card, choose up to 1 Battle Card from your hand with power of 15000 or less and play it.